Did you know the culture of a school can directly impact student learning and achievement? 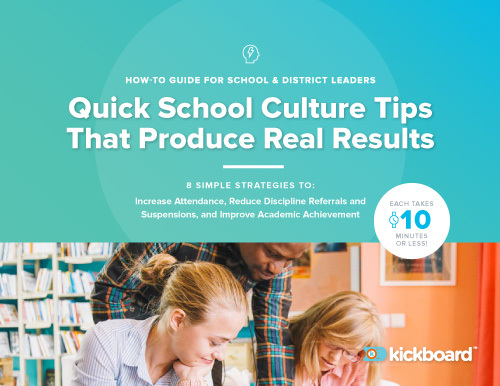 What if there were quick and easy practices you could implement today to create a more positive culture - and kickstart your journey toward improved school performance? Even better - each of these practices takes 10 minutes or less! Whether you're launching a major transformation or making just a few minor tweaks to move the achievement needle, you can make a difference in your school or district - starting today.